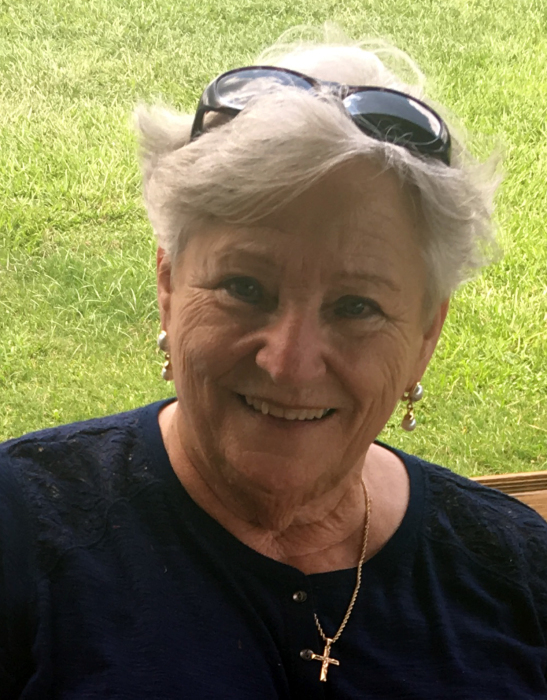 A Liturgy of the Word Service will be held at 2:30 pm on Saturday, April 13, 2019 in the Sunrise Chapel at Walters Funeral Home for Mary Virgina Racca Romero, age 82, who passed away Thursday, April 11, 2019 at her Carencro residence. Mrs. Romero was a native of Lafayette and was a parishioner at St. Elizabeth Seton Catholic Church. Survivors include her three daughters, Rebecca Varnado and her husband, Carl “Monkey”, Cynthia Fritz and her husband, Greg, and Bobbie Jo “BJ” Begnaud and her husband, Coby; one son, Steve Romero and his wife, Liz; one daughter in-law, Beki Romero; fourteen grandchildren, Andrew Falcon, Misty Falcon, Desiree’ Savoie, April Ebeling, Steven John Romero, Eric Savoie, Jacque Fritz, Christy Romero, Krystal Rushing, Chance Romero, Brooke Broussard, Kymber Fritz Bly, Taylor Begnaud, and Caine Fritz; twenty-three great grandchildren; and five great-great grandchildren. Mary was preceded in death by her husband of sixty two years, Joseph Willis Romero; two children, John and Glenda Romero; parents Paul Racca and the former Emelia “Bower” Racca; three siblings, Robert Racca, Bobby Racca, and Elizabeth Theriot; and one great granddaughter, Gracey Claire Rushing. Pallbearers will be Steve Romero, Coby Begnaud, Carl “ Monkey” Varnado, and Greg Fritz. Honorary Pallbearers include her six grandsons, Andrew Falcon, Steven John Romero, Eric Savoie, Jacque Fritz, Chance Romero, and Caine Fritz.Visiting hours will be Saturday from 8:00 am - 2:30 pm. Online condolences can be made at www.waltersfh.com. Walters Funeral Home, 2424 N. University Ave., Lafayette, LA 70507; 337-706-8941 is in charge of arrangements.